Neck pain is the original “pain in the neck”. 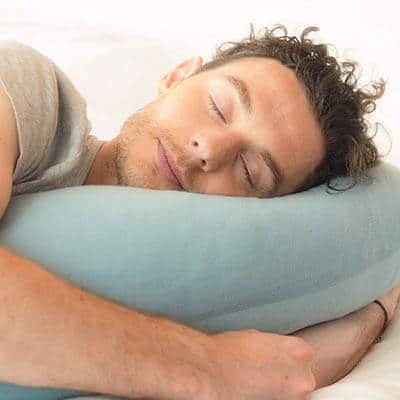 We designed our pillows to help you get a better night’s sleep and in our mission to develop an ergonomic pillow, neck pain was one of the issues we knew we had to tackle. 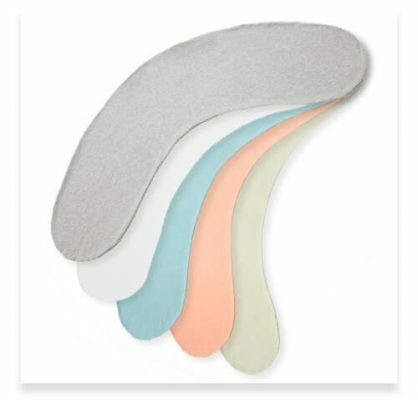 Our neck support pillows provides the support you need to help prevent neck pain and discomfort both as you’re sleeping and when you wake up in the morning. We worked with leading doctors and osteopaths to come up with pillows that gives you the comfort you need to wake up feeling well-rested, full of energy and ready to take on the day. Totally customisable pillow firmness and height, making it the perfect pillow for all sleeping positions. 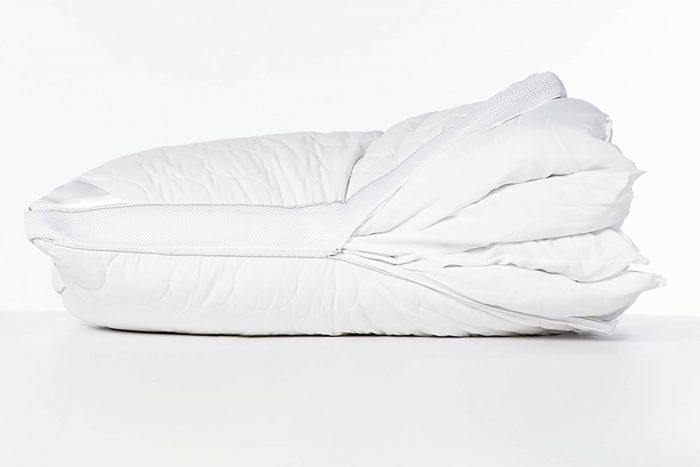 Designed to maintain its shape and support for longer periods, providing much needed support and comfort during sleep. If you sleep with an inappropriate pillow, it could mean your neck is bent at an awkward angle. When you sleep on your side, your pillow needs to be firm but have enough give to be comfortable. Neck pain is a big problem. Among those who experience weekly pain, 25% of them suffer from neck pain, according to the Global Pain Index. Your pillow makes a huge difference to how comfortable you are in bed and how well you sleep, particularly where your neck is concerned. You need the right pillow to support your neck and keep your spine aligned if you want to avoid pain and discomfort. No matter what position you sleep in, you need to choose a pillow that’s a suitable thickness and firmness. Your neck should be in a natural position while you sleep, not too low or lifted up too high by a pillow that’s too flat or thick. The worst position for your neck is sleeping on your front, with side sleeping and sleeping on your back providing better options. If you sleep on your stomach, it puts your weight in the middle of your body and puts pressure on your neck and spine. Side sleeping distributes your weight more evenly. Sleeping on your side offers you a range of other benefits too, especially as back sleeping can come with issues like snoring. However, the right pillow is still essential. Sleeping on your side or on your back is the best way to relieve neck pain. 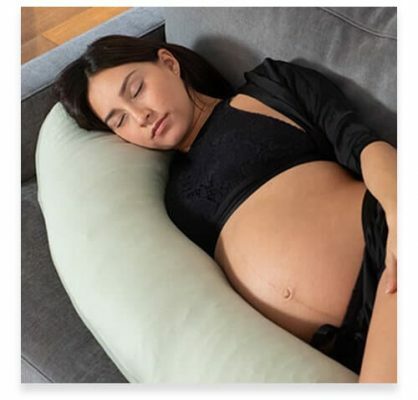 The Kally Pillow is designed for side sleeping, shaped for you to hug it to your body as you sleep. It keeps your head and neck aligned with your spine by filling the space between your head and shoulder and providing a firm surface to rest your head. By moulding perfectly to your shape, it gives you the exact amount of support that you require and evenly distributes your weight. 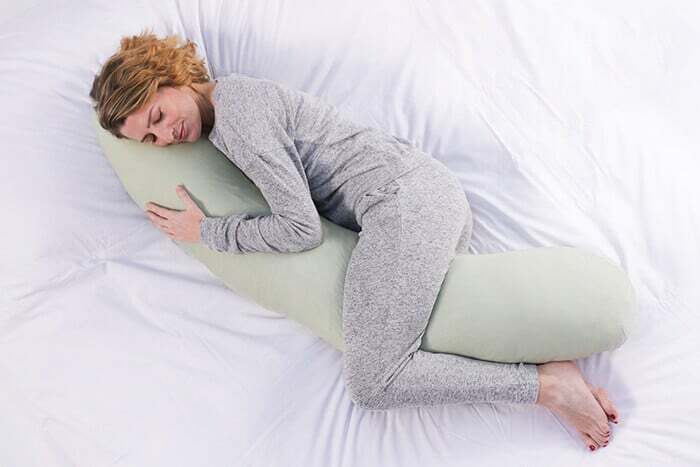 You can also have your body pillow behind you and tuck it between your shoulder and other pillows. With the right support from your pillow, you won’t overextend your neck and strain the muscles or tendons. If you wake up with a stiff neck or shoulders, or you experience neck pain or discomfort, you should make sure that you keep your neck in a comfortable position. 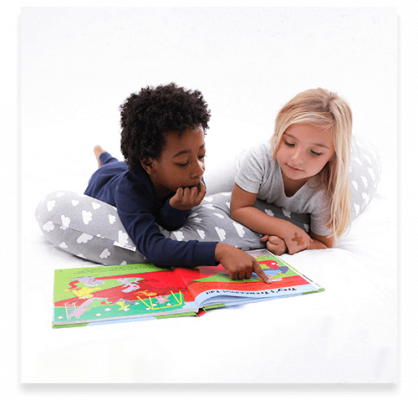 Our ergonomic pillow is sized to fit everyone, giving you a pillow that offers comfort and a good night’s sleep. Our pillows are designed to make it super comfortable to sleep on your side. When you sleep on your side, your neck and spine are aligned to ensure the best sleeping position. If you’re not currently a side sleeper, your pillow can encourage you to start sleeping on your side for a more comfortable and healthy sleep. Treat yourself to premium quality pillow, and it will improve more than just your neck pain. Discomfort isn’t the only problem you have to deal with when you experience neck pain. Being unable to sleep or waking up feeling unrested has a wider impact on your life. It can affect your moods and your energy levels, as well as the things that you’re physically capable of doing. Neck pain can have a long-term effect on your quality of life which is why you need to find a long-term solution. Try our pillows with a 14-night trial and free next day delivery. You could have your pillow in no time, and see what a difference it can make to your neck pain and your quality of sleep.